Everyone has a dish that they are famous for. For my friend Christine, it’s her Chinese Chicken Salad. For another, it’s her chicken soup. Mine is my black bean and corn salsa. I’m asked to bring it to potlucks all the time and I’m certainly happy to do so. It’s delicious and easy to make, even my Sunday school kids like it. I’ve used this salsa not only as a snack with blue corn chips, but have baked it into salmon for some Awesome Salmon Tacos as well as used it for my Stuffed Poblano Peppers. It’s so full of flavor and versatile. 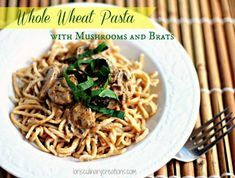 I usually have to make a double batch each time I put the recipe together because Hubby will sit down with a spoon and the bowl and keep eating until I take it away from him. A dash of your favorite hot sauce (I use Chalula). Mix, cover and refrigerate for about 2 hours to blend the flavors. My favorite chip to eat this with would be an unsalted blue corn chip. I love blue corn and the distinctive taste they have. I prefer unsalted because I don’t want the chip to take away from the flavor of the salsa. 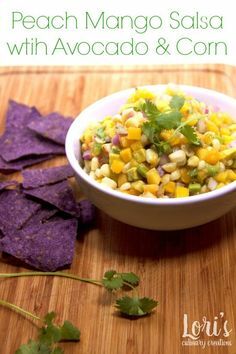 So bring black bean and corn salsa to your next game day gathering and enjoy some chips and salsa while watching your favorite team. 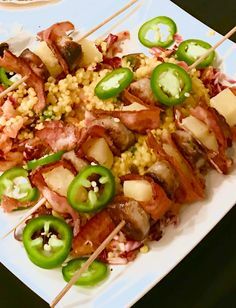 Check out my Appetizer Pinterest board for more great game day snacks. I’m having a couple vegetarian friends over. I bet they’ll love this. I swear I could eat salsa’s like this AS a meal lol. This sounds great, Lori! Thanks so much for sharing at #allmybloggyfriends this week! Enjoy your weekend! I love the combination of flavors in this salsa. I pinned it because I am anxious to try it. I popped over from the Whimsey Wednesday Linkey. Thanks for posting there! Come visit me sometime! Deb @ Kneaded Creations. Love blacks beans in salsa! Thanks for sharing on Good Tastes Tuesday, your recipe is pinned to our board now! This looks delicious Lori! We eat a lot of salsa and we prefer homemade so this recipe is going to be put to good use – thanks! Visiting from the Inspire Me Tuesday party. I love corn and black bean salsa! Corn has been popping up at our grocery stores so I have planned on making some of this salsa later this week. This is such a great summer dish! I love making homemade salsa. Thanks for the recipe and for linking up at Hump Day Happenings! Hi Lori, it was so fun to meet you last night! Black bean and corn salsa is one of my favorites, I’ll have to try your recipe. 🙂 Thank you for linking up at The Creative Exchange. Pinning! That was so much fun!! I was telling hubby all about it when I got home then I realized it was after midnight and I had to go to work, lol! Looking forward to the next event! Hi Lori! This looks yummy! You will be the feature on Fearlessly Creative Mammas – Tips and Tricks this week. We hope you will stop by and link up some more of your yummy recipes. WOW!! Thanks so much! Have a great week and I’ll be sure to stop back by. Yum, Yum, YUM!!!!! This looks SO delicious! Thanks for linking up to The Creative Exchange! Thank you so much!!! I’ll head over and link up now. Have a great day!! Ooooohh…this salsa looks and sounds so yummy!! Thanks for sharing on Saturday Night Fever! We are huge chips and salsa fans so I’ll definitely have to try this! Pinned to our group board!